In total, there are 418 IKEA stores across 49 markets. IKEA, the world’s biggest furniture retailer, plans to use only renewable and recycled materials in its products by 2030, in the latest commitment by a global store group to reducing its impact on the environment. 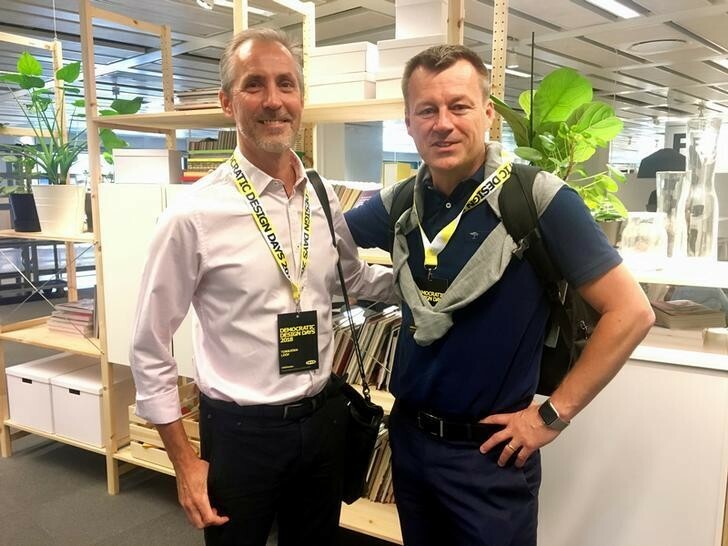 Inter IKEA CEO Torbjorn Loof (L) and IKEA Group CEO Jesper Brodin pose for a picture at an IKEA office in Almhult, Sweden June 7, 2018. “Through our size and reach we have the opportunity to inspire and enable more than one billion people to live better lives, within the limits of the planet,” Inter IKEA CEO Torbjorn Loof said in a statement to accompany the group’s 2030 sustainability strategy document. IKEA is dedicated to abolishing its carbon footprint. IKEA Group set a so-called science-based target to cut the climate impact of stores and other operations by 80 percent in absolute terms by 2030 compared with 2016. This article is published in collaboration with Reuters.